Freebie alert! 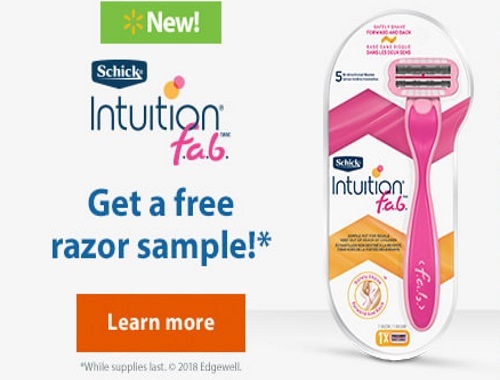 Get a Free Schick Intuition FAB razor sample! Click on the link below, and on the image where it says "Learn more". You will be redirected to the offer page. If you get a message that they are out for today, try again tomorrow. Quantities are limited, get them while they last. Click here to request your Free Razor.